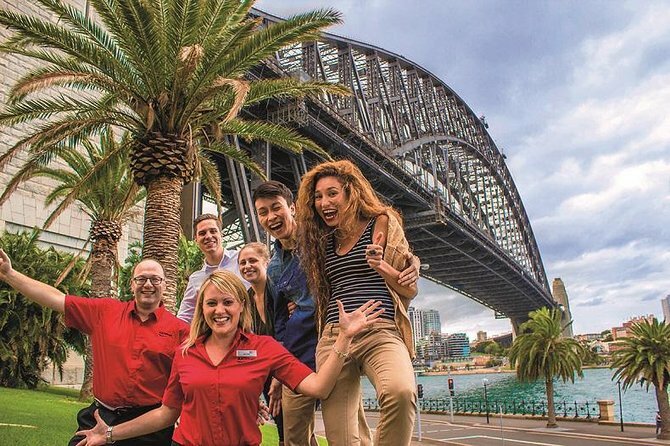 Travel on the best sightseeing day tours throughout Australia with the Australia Sightseeing Pass, a cost-effective way to visit top attractions in and around Australia's most popular cities! The pass contains your choice of 4, 8, or 12 coupons that you exchange in return for day tours on a selection of excursions offered in Sydney, Melbourne, Brisbane, Cairns, the Gold Coast, Darwin, Perth, Adelaide, Alice Springs, or Ayers Rock. Valid for 12 months, the pass allows you to travel independently and set your itinerary as you go. Choose from a 4-, 8-, or 12-coupon pass that can be redeemed on selected day tours throughout Australia. Save up to 35% on more than 50 day tours by using this pass when you visit Sydney, Melbourne, Brisbane, Cairns, the Gold Coast, Darwin, Perth, Adelaide, Alice Spring, or Ayers Rock. See Itinerary for a list of tour options. Your pass is valid for 12 months from the date of your first tour. Simply purchase the pass, then contact the local operator at least 24 hours prior to departure in order to book your seats on the tour of your choice. Do your travel plans include Sydney, Cairns and Ayers Rock? With a 4-coupon pass, you could book a tour of Sydney Sights & Bondi Beach (0.5 coupon); a Blue Mountains and wildlife tour (1 coupon); the Kuranda Scenic Railway and Skyrail from Cairns (1.5 coupons); and a Kata Tjuta and Uluru sunrise tour (1 coupon). The choice is yours, with the flexibility to set your itinerary and save. All tours travel by luxury air-conditioned vehicle in a large coach, mini-coach, or 4WD vehicle, depending on the tour. Friendly and knowledgeable professional local guides ensure a great tour experience. Each pass can be used for one person or multiple people, including children. Your seats are guaranteed on all tours when you book at least 24 hours before your departure.